Free Book Offer at Kuyperian Commentary! a) Subscribe to receive e-mail updates from KC on the website or subscribe to the KC Facebook page. *E-mail us at kuyperian.com@gmail.com to let us know you have fulfilled two of the requirements above. Two winners will be announced on August 15th! The man who changed the face of Calvinism. The man who was “the first Christian in a very profound way to come to grips with the fact that the world has been transformed.” The man who influenced the political, theological, sociological, and educational history of the Western World. His name is Abraham Kuyper. I mentioned this in my Reformation Sunday sermon two years ago, and I want to stress again how history can be summarized. History can be summarized in four stages: “The Church Formed, the Church De-Formed, the Church Reformed, and the Church transformed.” This is how I want you to think of history in this four-fold pattern. This is the view I want you to embrace of the past, present, and future. We are currently in this period of the Church being transformed, and when the Church is transformed, everything else around it is transformed also. The Church’s environment eventually—for the good or bad—becomes the ethos of our culture. I believe that at the end of history we will look back and see the name Abraham Kuyper as a central figure in this period of transformation. Why? Because Kuyper made Calvinism respectable again. Calvinism, that is the theology that believes in the absolute sovereignty of God over everything, suffered greatly after the death of Calvin in 1564. The trajectory of the disciples of Calvin was not easy as they sought to build a vision based on the Sovereignty of God. There were some abuses, and many great things, but it is safe to say the vision of Calvin was lost some time after the death of Calvin. The missionary revolution of the 18th and 19th century gave new life to Calvinism. The greatest missionary of the last 300 years, William Carey, was both a Calvinist and a Postmillennialism. He brought together these two powerful ideas that God is Sovereign and that the Gospel changes the world. It was during these glorious days that on October 29th, 1837 was born Abraham Kuyper (spelled Abraham Kuijper in Dutch). Kuyper was Dutch. The Dutch Reformed have been very instrumental in shaping many of our American institutions and seminaries. If you have heard of Cornelius Van Til, Herman Bavinck, Simon Kistemaker, Louis Berkhof, Klaas Schilder, Gerardus Vossius, and others, these are the chief thinkers of the Reformed Tradition, who were all Dutchmen. I came to seminary as a Presbyterian. But there were also other Dutch Reformed students on campus, and one of my favorite professors at RTS was Simon Kistemaker, a true Dutchman. “If you ain’t Dutch, you ain’t much,” was their slogan. Many of them came from the Reformed Church of America (RCA), which is the oldest Protestant denomination in America. But of course, the Dutch Reformed in this country have fallen on hard times. To give you an example of how far they have fallen, the largest RCA church in America is the Crystal Cathedral, once pastored by Robert Schuller, the father of the Positive Thinking Movement. Kuyper would have been devasted by the false representation of the gospel in the RCA today. Kuyper was homeschooled by his father who was a minister in the Dutch Reformed Church. His father was mildly orthodox. He was orthodox, but he wasn’t the type to push orthodoxy as a way of life. As an undergraduate, Kuyper studied ancient languages, which were an addition to the languages he already spoke English, French, German, and Dutch. What was unique about Kuyper’s study habits is that he avoided “distractions and pursued his studies with diligence.” At the time of his graduation he became engaged to Henrdrika Schaay, and married her in 1863. His doctoral dissertation compared Calvin to a modernist scholar. By the end of his dissertation Kuyper ended up despising Calvin. Later on after re-orienting his life towards God he said that the dissertation was the beginning of his thinking on Divine Providence. He hated the idea that God was sovereign over everything, even the human will, but eventually he came to realize that this was what the Bible taught. After he was married he took on his first pastorate. His congregation in the Dutch Reformed Church did what I hope any congregation would do: they said his preaching and doctrine were unacceptable because they were not grounded in the Bible. This was a unique Church. While the church scene in the Netherlands was completely overwhelmed by liberalism and abandonment of the Reformed Confessions, which were grounded in the Bible, this little Church challenged Kuyper’s orthodoxy. There are a host of implications to this statement. Kuyper’s point was that every sphere: Church, Family, and Government do not derive their authority from itself, but rather from God. For Kuyper, this was a way of preventing totalitarianism. No sphere is entitled to rule absolutely. The Church, Government, and the Family had their limitations. The Church could not interfere in the business of the State. The Church, as Kuyper believed, could speak to the issues of the State, but she could not force her hand and have the State in her pocket, and most certainly the opposite is true. The State could not dictate or take away the religious freedom of the Church. Kuyper believed that a country where spheres operated within the confines of God’s authority, those countries would succeed. He said that in countries where the influence of the Protestant Reformation was present they would flourish, but in France and Russia where there was little trace of Protestantism left they would fall into despotism. James McGoldrick wrote of Kuyper’s vision in the Netherlands: “Kuyper’s desire for the Netherlands was that the nation would revive and persevere its Calvinistic heritage, with its doctrine of limited government that respects the autonomy of all spheres of authority and thereby guarantees the freedom of its citizens.” Kuyper believed that unless a society acknowledges the sovereignty of God they will not be free. You need to acknowledge the freedom of God first before being free yourself. Second, Kuyper was instrumental in thinking about education and culture from a Christian perspective. Kuyper opposed the Anabaptists who believed that we need to retreat from the world. We need to seclude ourselves. 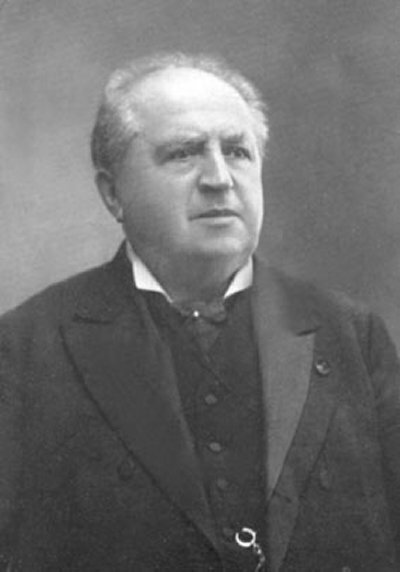 Kuyper believed that Christians needed to equip themselves and then to “push the development of this world to constant agreement with God’s ordinances…and in the midst of corruption upholding that which is honorable, lovely, and of good report among men.” Kuyper said that the way to establish a Christian culture is by educating a Christian populace. He said you can’t teach math apart from God, because math implies order, and God is the creator of order. He founded the Free University of Amsterdam as an example of his vision for a holistic Christian culture. He encouraged the founding of Christian Schools. He would have been very pleased with the rise of some Christian schools that stress a high view of Biblical authority and God’s sovereignty. Finally, Kuyper taught that our labor is important to God. Whether we paint, preach, or plant trees, Kuyper taught that these things are spiritual activities. The day to day travel to work and home, the diaper change, the duties of children, the playing, the plucking, the plowing, etc. Our labor in the Lord are not in vain, as Paul says. The job of the minister is not more spiritual than yours. Poverty is not to be treasured over riches. Riches is not to be treasured over poverty. First, Kuyper believed that isolationism was not an option. That life was not to be divided up into little sections or pockets: “Here is my piety on Sunday, here is my work on Monday, here is my feasting on Friday.” No. Everything needed to be oriented/directed towards the glory of Jesus Christ. Your piety, feasting, and golfing needed to submit to King Jesus. This is still very foreign to our modern culture. We are not used to thinking about life is this comprehensive fashion. Second, Kuyper believed Jesus was king. He said that we need to nurture cultural patience. We can’t change the world overnight, but we need to slowly plow. We need a faithful presence in this world. Third, Kuyper was a localist. He believed in limited government. And the reason he believed the government was to be limited was because he believed that freedom is exercised best at a local level. Change is tangible locally. He certainly wanted to see things changed nationally. He started his own political party: The Anti-Revolution Party. He believed that socialism and totalitarianism were a threat to the well-being of a society. Kuyper said that the kingdom of God is present in those local activities. Changing the world does not demand running for politics or becoming a priest, changing the world begins in your own home. Kuyper was referred to as the “bell-ringer for the common people.”He advocated the “theology of the laity.” Kuyper wanted the Church to be a sending out station. He wanted the Church to be the place from which men and women were trained to go forth and change their communities. The thought crossed my mind that his father’s mild orthodoxy may have influenced Kuyper’s pluralistic tendencies at times. James McGoldrick, God’s Renaissance Man, 16. A topic that is much discussed in our day. Richard J. Mouwl, Abraham Kuyper: A Short and Personal History, 95. Perhaps the greatest Dutch Reformed Systematician. Though it is also true that Bavinck was more irenic in his engagements, while Kuyper was a true polemicist. Kuyper’s presuppositionalism was clear when he stated that even when Christians and non-Christians agree about a particular aspect of creation, they still approach the study of the world with mutually opposing assumptions. They disagree on the doctrine of creation itself. David Koyzis found a couple of rare videos regarding the late Dutch Prime Minister/Theologian, Abraham Kuyper. Finally, here are several posts I have written on Kuyper and here is a short paper I wrote on Kuyper under the direction of Professor John Frame. If we forget this we commit the same mistake as those Christians who argue…that we had better withdraw from the world into a religious enclave. The terrible thing these Christians are doing is to grant legality to the spurious claim of the enemy that this world belongs to him, not to God! And when Jesus said to Pilate, ‘My Kingdom is not of this world’, his words should not be understood as meaning that his Kingdom is entirely other-worldly. It should rather, within the context of John’s gospel, be understood to mean, ‘My Kingdom does not operate according to the rules of this world which have been adulterated by Satan. My Kingdom is unique. But this does not make it other-worldly.’ Did Jesus not, after all, teach his disciples to pray, ‘Thy Kingdom come; thy will be done on earth as it is in heaven?’ Therefore, if we Christians surrender this world to Satan, we play right into his hands. And we betray the Lordship of Christ. The Calvinistic world-and-life-view is undergirded by one principal theological dogma: God is sovereign over the affairs of men. This dogmatic assertion carries over to the realm of Soteriology. It is in the doctrine of salvation that Calvinism is mostly known. Far from a mere abstract doctrinal proposition, the sovereignty of God in election and predestination furnishes the Kuyperian worldview with plenty of theological ammunition. Since God is the protagonist in the Calvinistic worldview, then He must be preeminent in developing any approach to living the Christian faith. This all- embracing predestination, the Calvinist places, not in the hand of man, and still less in the hand of a blind natural force, but in the hand of Almighty God, Sovereign Creator and Possessor of heaven and earth. Lectures on Calvinism. Pg. 187. Lectures on Calvinism, pg. 199. In light of this comprehensive view of the Christian life, it is natural that another strong feature of Kuyperian thinking is an opposition to “escapism.” The Roman Church had abandoned any interest in a Biblical transformation of culture thus the holy life was equated to a monastic life, since anything outside the Church was considered to be under possession. Kuyper opposed this dualism and emphasized that God is redeeming the world, thus “serving him in the world becomes the inspiring impulse,” and the Church provided the strength to fight worldly temptations. Indeed there was no need to hide within the confines of the Church. Richard Mouw once observed that “Calvinists specialized in cleaning up sewers-not only in the spiritual sense, but sometimes also quite literally!” Indeed, Kuyperianism offers the Christian ways to live in a society, rather than merely tolerating it. Ecclesiastical engagement has its limitations and sooner or later, people will begin to ask questions pertinent to their responsibilities at home and at work. This is Kuyper’s greatest strength. 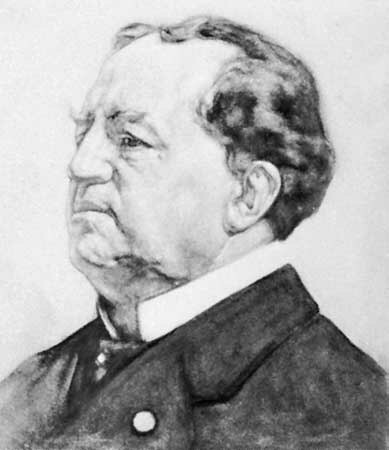 There are certain areas of concern, which would be deemed areas of weakness in Kuyper’s thesis. Absent from Kuyper’s development of Calvin’s ideas is a high view of the sacraments. Kuyper summarizes the role of the Church as a place where God’s people can garner strength to face the evils of the world’s temptations. Indeed, it may not have been in Kuyper’s interest to add positive thoughts on Sacramentology (though he often appears to chastise Rome’s sacerdotalism). Nevertheless, it is hard to conceive of a more nurturing experience for the Christian in the world, than to embrace the fullness of Christ’s New Covenant sign given for His people in bread and wine. In Kuyper’s lecture on Calvinism and Religion, he castigates Roman Catholic priestly intervention, claiming that it interrupts communion with God. Kuyper’s reaction to Rome’s ecclesiastical practices and to a lesser extent Lutheranism seems to have diminished his interest in a Calvinistic view of the Lord’s Supper. Notwithstanding all this, I not only deplore that one stake, but I unconditionally disapprove of it; yet not as if it were the expression of a special characteristic of Calvinism, but on the contrary as the fatal after-effect of a system, grey with age, in which Calvinism found its existence, under which it had grown up, and from which it had yet been able entirely to liberate itself. Kuyper’s commitment to pluralism betrayed his poetic dedication to affirm God’s holy statutes in church and state, in home and school. The third article of the Anti-Revolutionary Party platform, Ons Program, exposes the frailty of the tactics Kuyper employed for achieving this end: ‘…the authority of the state is bound by God’s ordinances, not directly…but only via the consciences of persons in positions of authority.’ It should be self-evident that such a tactic explicitly removes civil authority from the Word of God and posits it in the vacillating conscience of the civil magistrate. The conscience of the civil magistrate is unstable in all its ways. When the government submits to some general guidelines of pluralism and libertarianism, the future of such enterprise guarantees the demise of the state and its turning over to the very systems Kuyper opposed-Humanism and Modernism. Richard Mouw is president of Fuller Theological Seminary. He also makes a few distinctions between Kuyperianism and John Yoder’s Anabaptist theology of life. He recently delivered several lectures at The Abraham Kuyper Consultation at Princeton 2007. I am using “Kuyperianism” and “Calvinism” as synonymous terms, unless otherwise noticed. To my limited knowledge, Kuyper did not develop a robust view of the Church in any of his writings. For instance, Kuyper spoke little, if at all, concerning the role of the Sacraments in preparing Christians to face the onslaught of the world’s philosophies. Professor Frame argues: “Kuyper seems to have thought of the church as one among a number of equal agencies, including family, state, university, etc. I don’t think he gave adequate attention to the centrality of the church in biblical theology.” (Personal correspondence). Professors from Calvin College and Seminary are little concerned about the application of Biblical Revelation to modern society. They are more interested in applying natural law than revealed law. Neo-Calvinists think it is immoral to apply Biblical law because we no longer live in a theocracy such as Israel did. It appears that Kuyper confused the rule of God in society (theocracy) with the rule of the Church (ecclesiocracy). No advocate of Theonomy embraces the latter. The ideal Biblical picture is that Church and State work side by side submitting to one Lord. Though Professor Frame disagrees with some theonomic authors, he has done the most superb exegetical job in combining Kuyperianism with a robust view of Biblical law. Also, for an excellent and fair treatment of Theonomy’s theses, see Vern Poythress’ The Shadow of Christ in the Law of Moses. Poythress offers a 50 page critique of Greg Bahnsen’s theonomic theses. He gives particular attention the exegesis of Matthew 5:17. Whether he succeeds is another question. In my assessment, once one accepts the idea of the application of Biblical Law, he has by default become theonomic in his viewpoint, though there may be varying nuances. Perhaps my former professor Dr. Mark Ross distinguishes best when divides the theonomic camp into soft and hard Theonomy. If this distinction stands, then Frame and Poythress would be soft; Bahnsen and Rushdoony would be hard. I would find myself in the latter camp most of the time. Deuteronomy 21:18-2. The example of the disobedient son is portrayed as a public death penalty. One may argue that this was not a state-level execution, since the local community and the parents were involved in this execution. But the principle is that God has authorized the state (however defined) to use the sword accordingly (Romans 13). There is a false notion that Calvin ruled Geneva with an iron fist. This is erroneous. Calvin did not ultimately make decisions of life and death. This was left to the city rulers. It was by their hand that Servetus was put to death, though Calvin never tried to stop it. Woods, Oliver. Online. July/August 2002. The Christian Statesman.